This network explores the potential of an integration of Performance Studies approaches into the field of (transnational) American Studies. It investigates how, which, and with what outcome issues that, in the wake of the transnational turn, have become central to the American Studies agenda can be addressed more adequately by the study of ‘cultural performances.’ Based on the idea of culture as a corporeal, communal, and dynamic event rather than a stable textual product, the individual projects arranged in three culturally and spatially specific clusters–the city, the nation, the globe—position the local particularities of cultural performance vis-à-vis the dynamics of global mobility. Firstly, they examine the role and impact of ‘cultural performances’ as particular acts of cultural expression (like daily rituals, festive occasions, or theatrical events) in transnational contact zones—sites in which cultures meet, grapple with each other, and inevitably negotiate questions of socio-political agency, representation, and power. Secondly, they develop and evaluate ‘cultural performance’ as a methodological approach for the study of transnational processes. In sum, the network scrutinizes the benefits and limitations of a deeper and more reflective integration of a Performance Studies approach into American Studies. By bringing together scholars of Performance and American Studies from the US, Europe, and Asia, it constitutes an exemplary site of transnational collaboration and establishes a dialogue across disciplinary boundaries. Bauridl, Birgit M., and Pia Wiegmink. “Cultural Performance and Transnational American Studies.” Routledge Companion to Transnational American Studies, Routledge, Forthcoming. – – – , editors. Approaching Transnational America in Performance. Peter Lang , 2016. 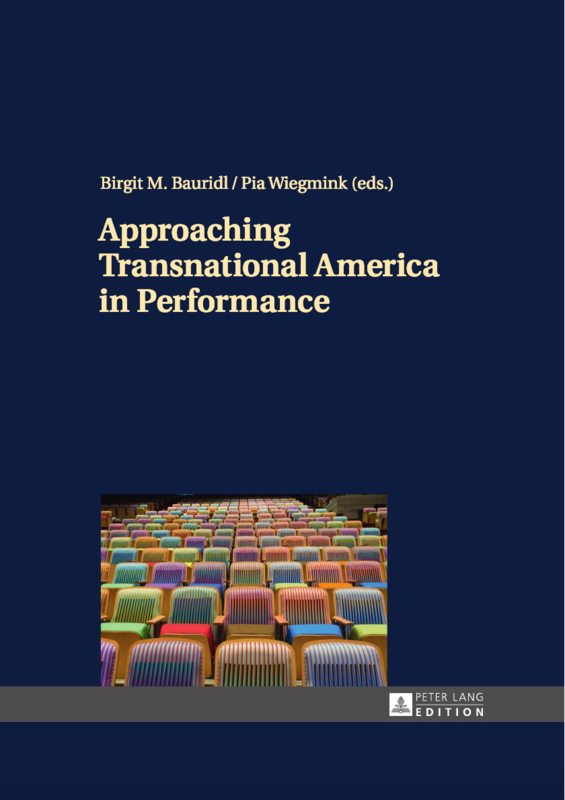 – – – .“Toward an Integrative Model of Performance in Transnational American Studies.” Amerikastudien/American Studies, vol. 60, no.1, 2015, pp. 157-168. A more comprehensive list of publications of all network members is available here. Prof. Dr. Celeste-Marie Bernier (University of Edinburgh). You can find the conference website and program here. For a complete list of the network’s events click here.